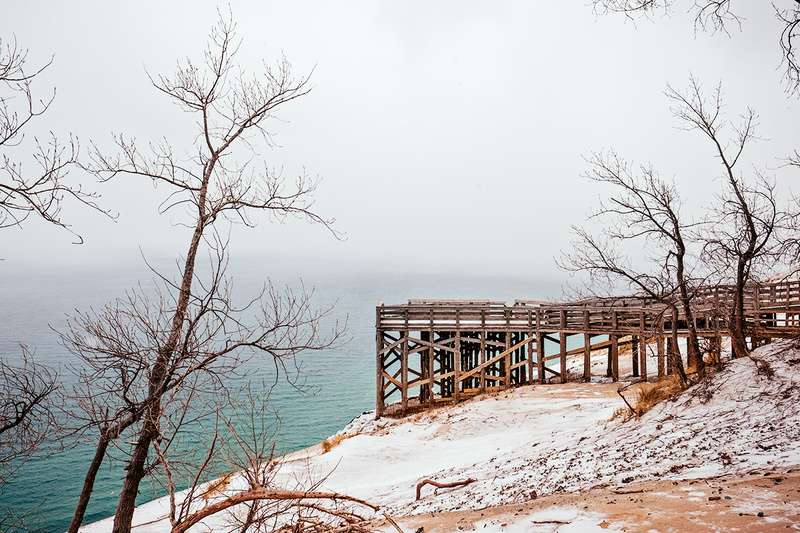 If one ventures out into the wintry north, you can see the shores of Sleeping Bear Dunes painted white. 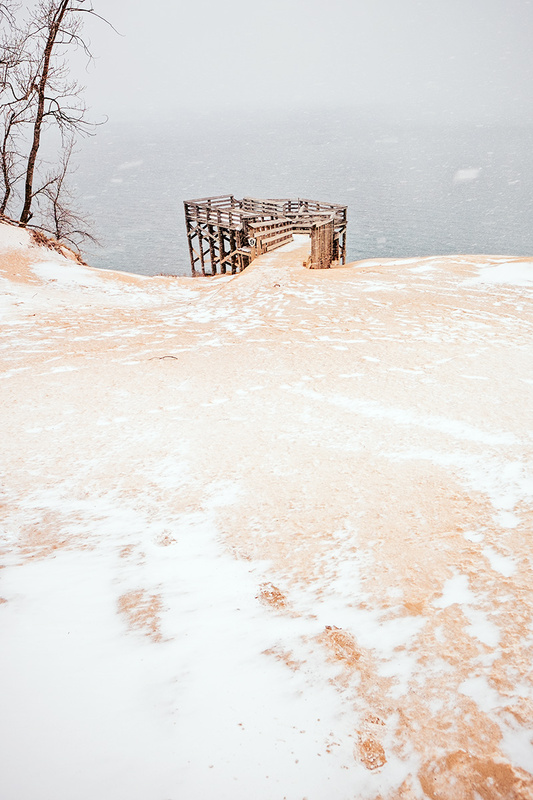 Wearing ice cleats to have a sturdy pace, we made our way to the Lake Michigan Overlook to view them in January. Swishing slowly in our heavy snow gear, we plodded along under the covered bridge and over hills through creaking woods. 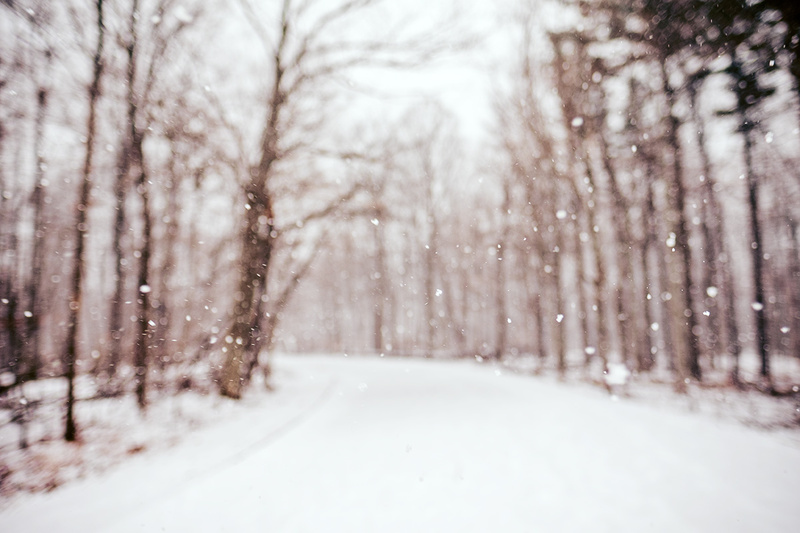 There is a silence in the snow as it transforms green to white. Summer sands fade into alabaster mounds. 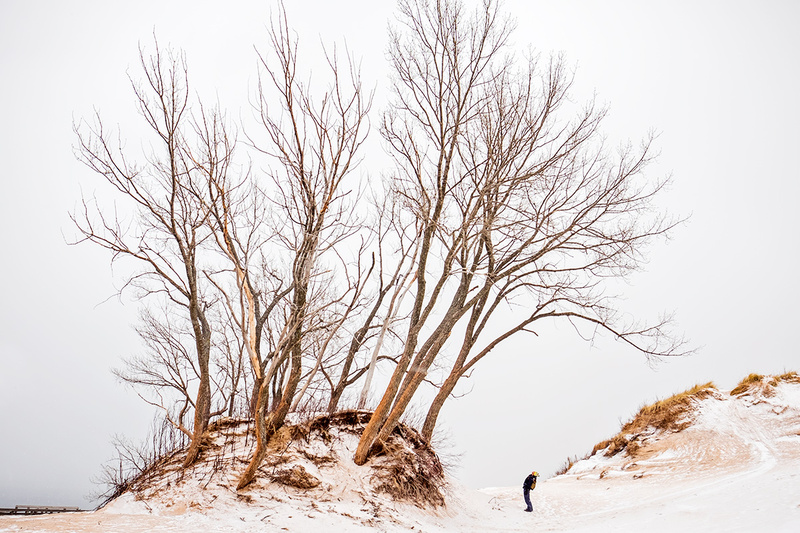 Once summer playgrounds, now quiet dunes meet ice. Winter’s breath silences the grass that used to rustle in the wind and weighs down the trees under its heavy blanket. 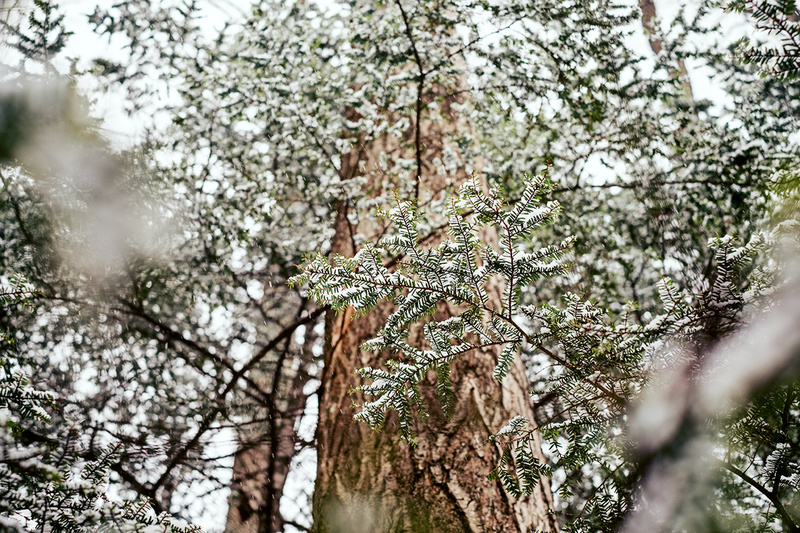 Where leaves danced, ice shines and the forest slows its pace. 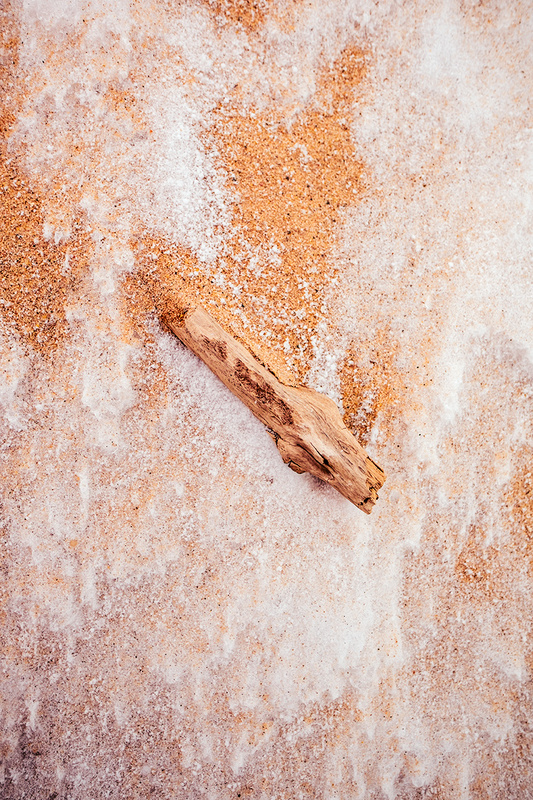 It stands still while flurries dance around trunks and fill trails until they fade into a powdery sheet. 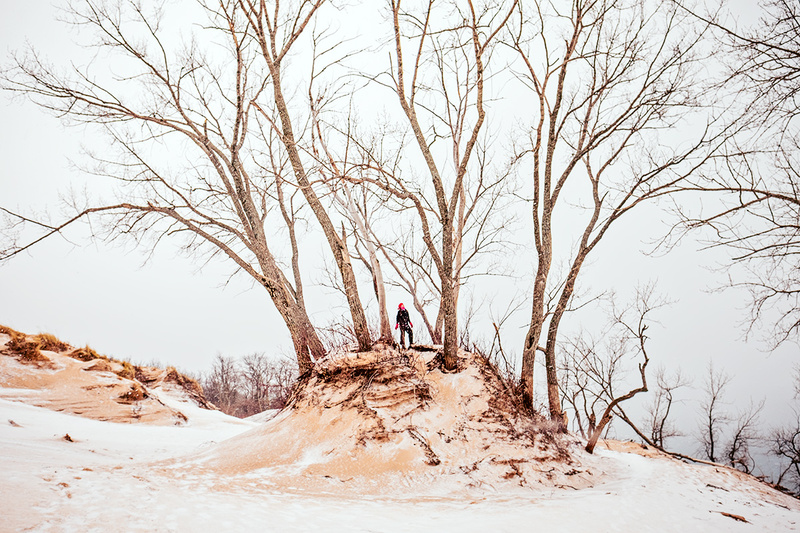 Rising 450 feet above Lake Michigan, the dunes were as impressive as ever. Somehow in this season’s weather it seemed more special. With the scenic drive that takes automobiles to this place closed, we walked to the lookout alone. 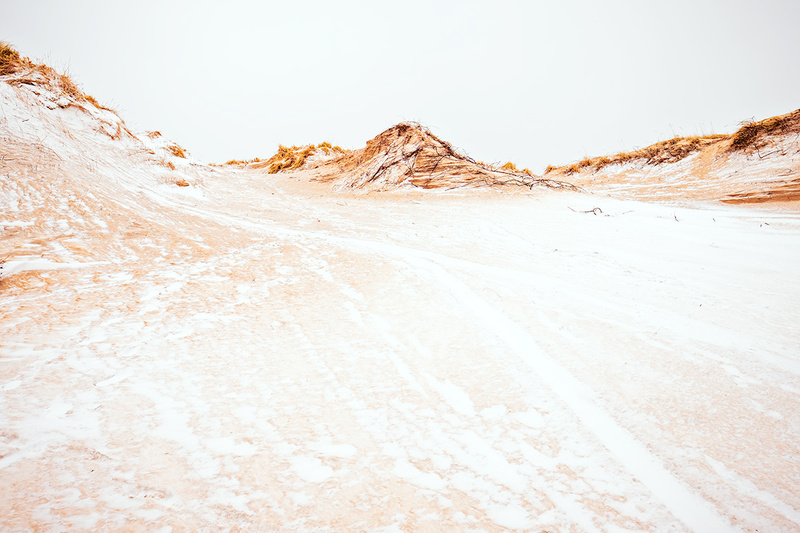 The two of us made the only sounds on the shore as the snow crunched into sand. The once bright blue sea under summer’s sun faded into a muted hue, then to grey where it met the winter sky. The lookout sat empty, perched in a gradient of white to sandy shades of golden pink and cream. Winter seemed to airbrush a pastel paradise just for us as we walked the edge of the mammoth drifts. I loved seeing the contrast of what I held in my memory of this summer spot and the now otherworldly landscape. We finished the visit by driving around the area and finding more places in their winter transformations. 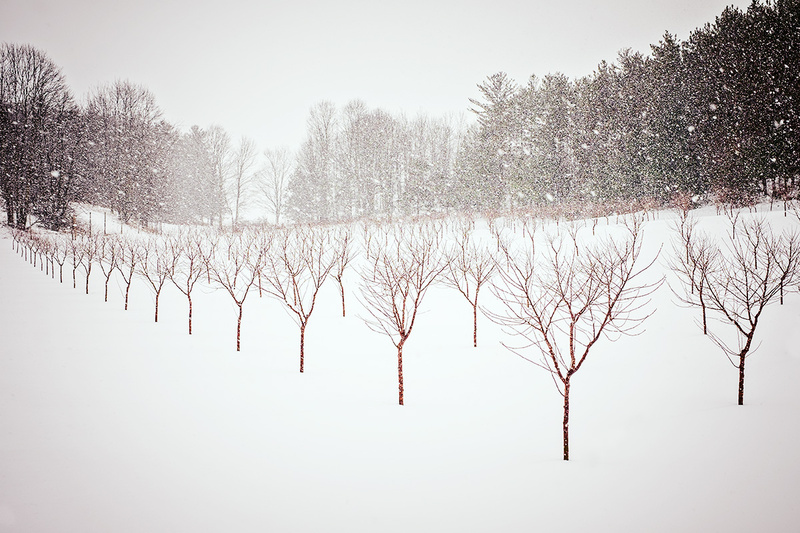 Orchards once filled with fruit, stretched slender patterns over hillsides. 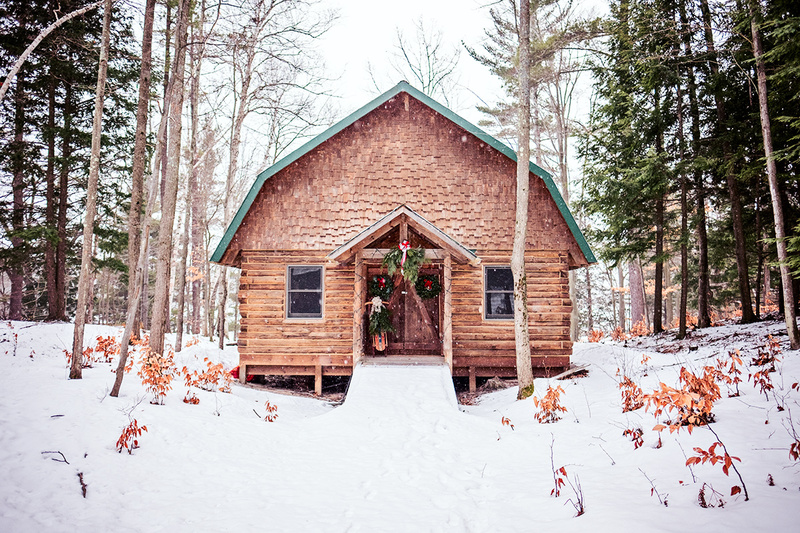 Covered bridges and cabins made cozy winter retreats. 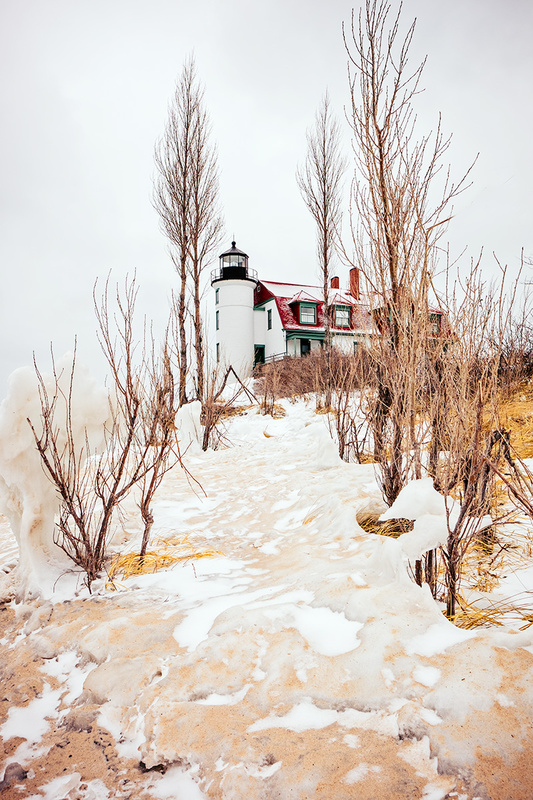 Lighthouses sat over icy shorelines and brilliant blue water. It’s truly a magical time in Michigan right now. 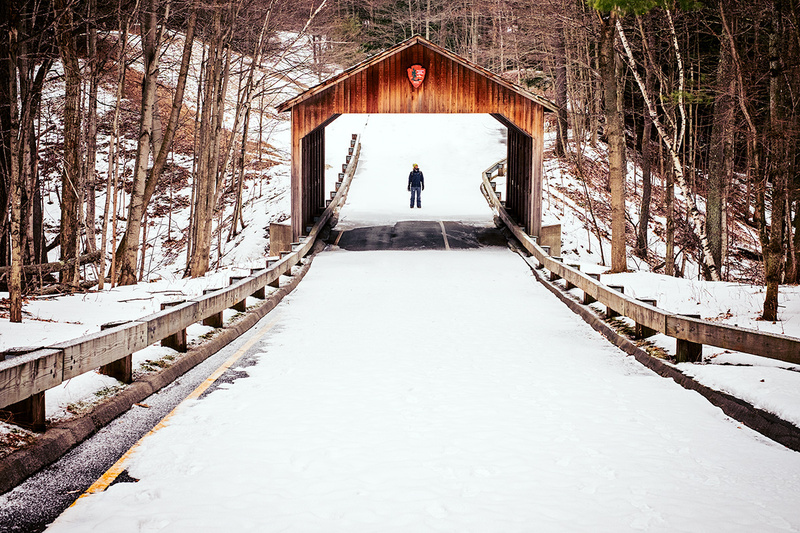 Exploring in winter can hold such beauty if you can brave the first steps out your front door. 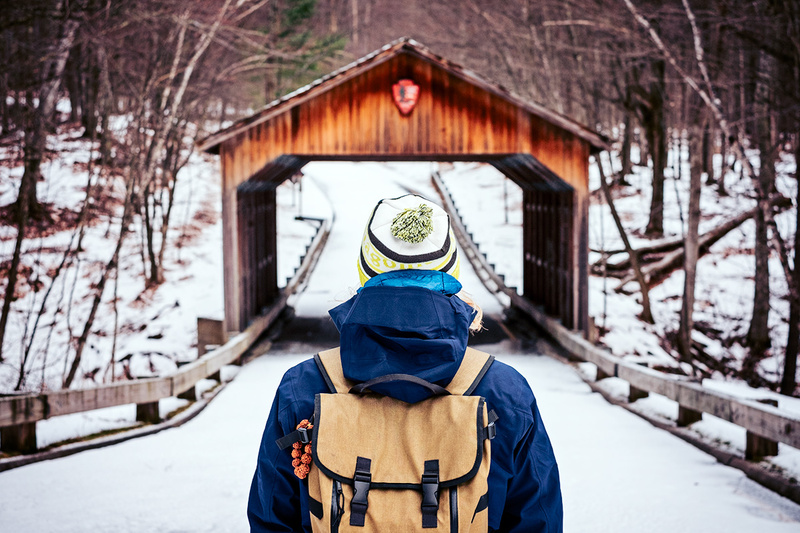 Park Info – Visit the visitor center for hiking information, maps and a park pass before setting out. A regular entrance pass good for 1-7 days is $15, while an annual pass good for an entire year is $30. 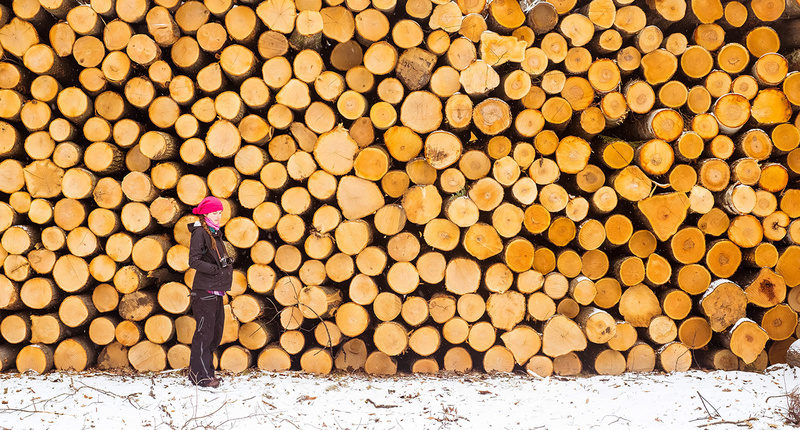 Winter Prep – Wear proper winter gear. 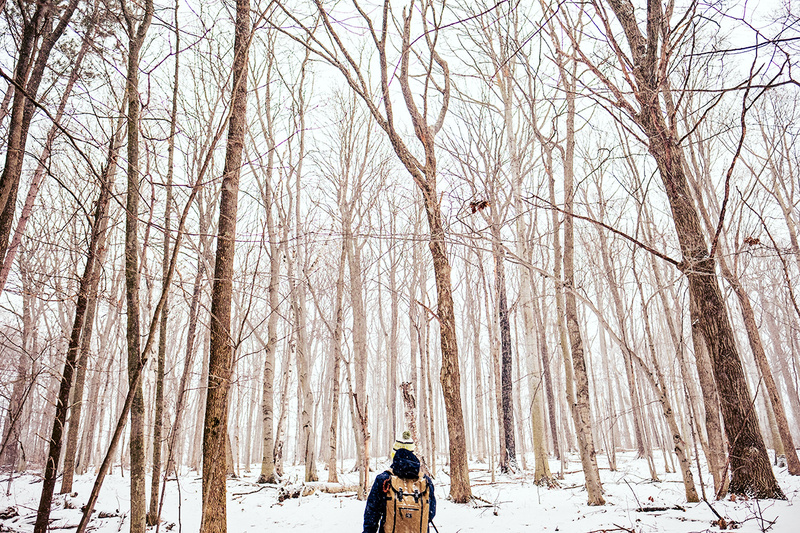 Beyond the normal winter wardrobe, snow pants and ice cleats are essential for extra warmth and safety. Lens hoods and cloths for cleaning camera lenses are helpful for photographers. 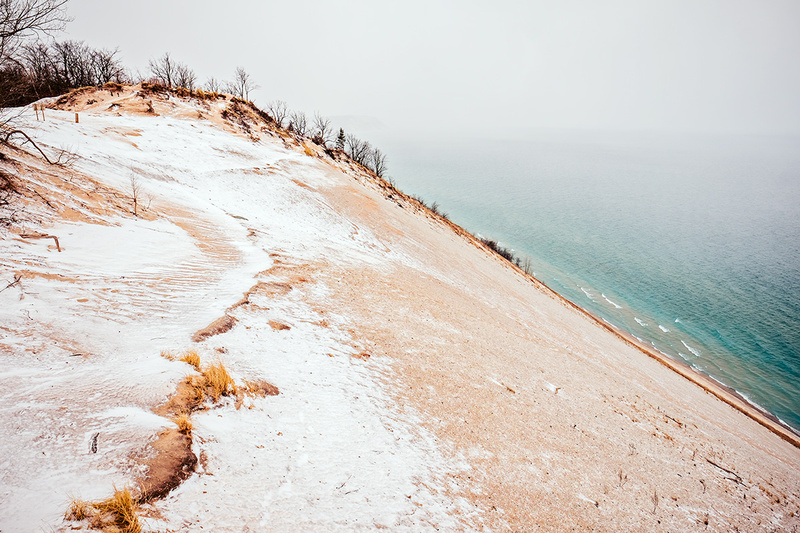 Trail – The trail to the Lake Michigan Overlook can be reached from the parking lot at the beginning of the Pierce Stocking Scenic Drive. 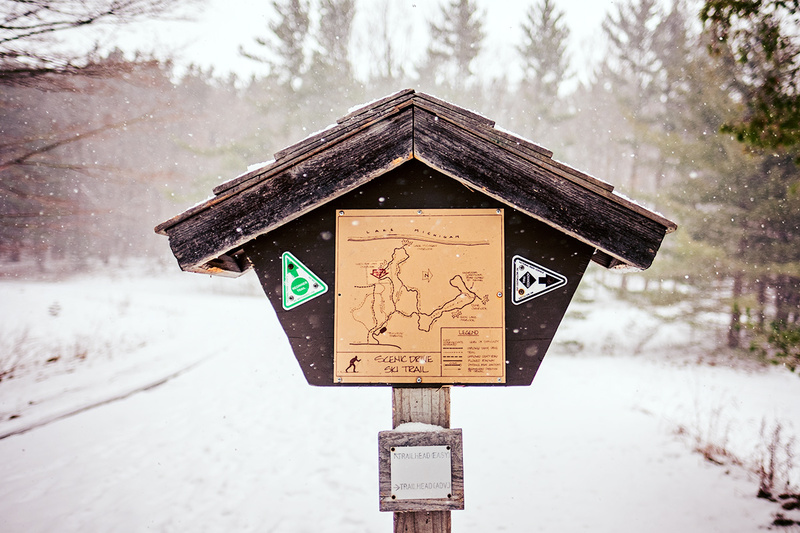 Park in the lot and look for the trail marker map for the Scenic Drive Ski Trail. They are little wooden signs posted along the way. Note that the Dune Overlook is not the same as the Lake Michigan Overlook. While the Dune Overlook is nice, it is not the dramatic view that is at the Lake Michigan one. We kept walking past the covered bridge to the right and made the mistake of ending up at the Dune Overlook. We had to come back a second day to make it to the Lake Michigan one which is to the left before the covered bridge. Loved the pics as always. When will you be in Metro Detroit coz I have a surprise gift I guarantee you will like. Let me know. Oh boy! Yes, I will be here off and on. Just smaller, local trips for the time being. YOUR WRITING IS SO POETIC. YOU HAVE A BEAUTIFUL WAY WITH WORDS AS WELL AS WITH YOUR PHOTOS. 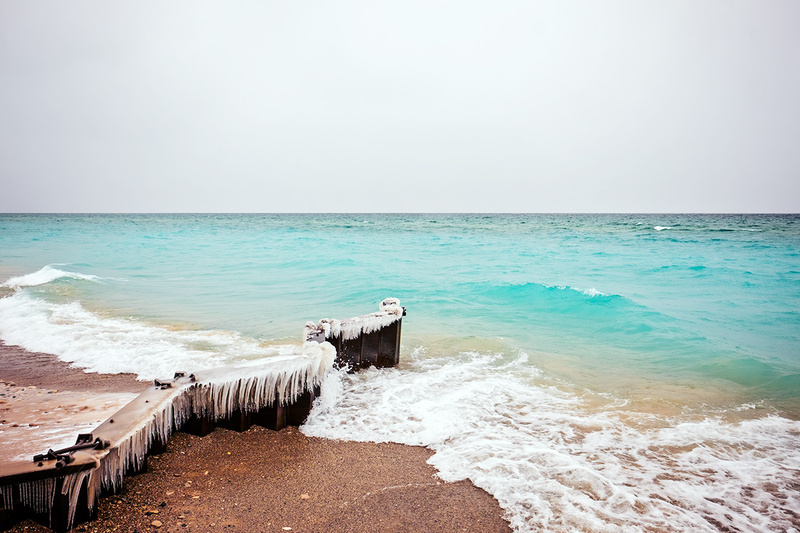 I THOUGHT, … IT’S AMAZING HOW BLUE THE WATER LOOKS IN WINTER. I CAN’T IMAGINE HOW DIFFICULT IT WAS HIKING IN THE COLD, ICE AND SNOW. YOU ARE HARDY AND COURAGEOUS. Thank you June! I had that experience in the hot sun the first few times I went to the dunes. I didn’t enjoy them and never made it to the water! Then I realized there is an easier way. 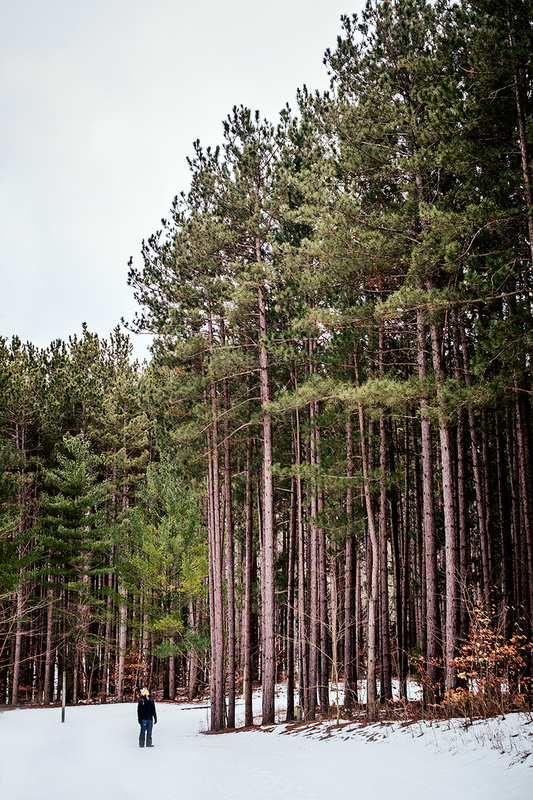 The Pierce Stocking Scenic Drive takes you right out to the most beautiful lookout. A short level walk and you are there, though not in winter. Thanks for your comments as always. Love to you. Thank you Alanna! So nice to hear from you.